Barbara Moore, 83, resident of Rutherford for 55 years, passed away April 7, 2019. Born in Yonkers, NY to Nicholas DiBullo and Lucia Orlando. Barbara was a graduate of St. Peter’s HS in Staten Island. She was married in 1957 at 22 years old to the love of her life Clifford James Moore and enjoyed 49 years of marriage before her husband Clifford passed away in 2000. 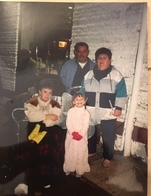 Barbara had a very active life as a Girl Scout leader, cub scout Den Mother (Den 168), a member of Rutherford PTA, Marriage Encounter, American Legion, VFW, Church of Saint Mary and Master Chef for St. Mary Cafeteria. 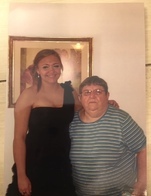 She was also a Bookkeeper and employed for 18 years with Chase Bank in Rutherford. Above all, Barbara was happiest spending time with her very large and growing family. Barbara is predeceased by her daughter Jean Marie (1961). She will be deeply missed by her 5 children; Clifford Moore III and wife Mitzy, Barbara Ann Bennett and husband James, Dennis Moore and fiance’ Dena Pinkman, Michael P. Moore and wife Maria, Nicholas, her 15 grandchildren; James Bennett, Keri Romano, Ryan Bennett, Clifford Moore IV, David Moore, Samantha Moore, Rene Moore, Kazia Moore, Curtis Moore, Brandon Moore, Nicole Bowden, Danielle Moore, Michelle Valdes, Michael Moore Jr., Kelly Moore, her 12 great-grandchildren; Angelina Moore, Guilani Moore, Isabella Moore, David Moore Jr., Giuliana Moore, Molly Romano, Karly Romano, James Bennett, Jaxon Bennett, Juliette Valdes, Madeline Valdes, Josephine Bowden, her 2 siblings, Rose Stewart and many nieces & nephews. 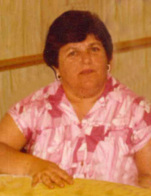 Barbara was predeceased by 5 siblings; Lucia DiBullo, Marge LaMarca, Vincent DiBullo, Bart DiBullo and Maryann Attanosia. Family will receive friends Wednesday 4pm -8pm in the Calhoun-Mania Funeral Home, 19 Lincoln Ave. Rutherford. followed by Interment in Holy Cross Cemetery, North Arlington.